A few weeks ago I had the pleasure of getting on a plane and flying to Columbus, Ohio to meet and shoot a special film the Andrea Kinter Photography Promotional Video. It was such a neat experience, from learning to travel light with my gear to getting acclimated to staying somewehre far without my family, but all that is for another post. Andrea specializes in newborn photography, she shoots on average 20+ newborn babies a month, her studio is just perfectly setup for a comfortable portrait experience for both baby and parents. Her art is displayed on her walls all through her studio and home, it is just truly magical. I used to consider myself a newborn baby photographer until I actually watched her work. She is AMAZING! Her hands seem to caress the babies in just the right way to lull them back to sleep, she cares so much about these tiny little beings and captures their beauty in such a simple yet intricate artform. Andrea also teaches newborn photogarphy workshops which I would so recommend going to if you are insterested in capturing these precious little beings. I remember asking her something along the lines of the importance of doing one’s passion and she said to me “if someone told me I couldn’t shoot newborns anymore I would just seriously cry”, she really loves what she does and I’m so honored to have gotten the opportunity to spend a few days with her, her family and clients filming this promo video for her business. Andrea, thank you you! You truly are a baby whisperer. 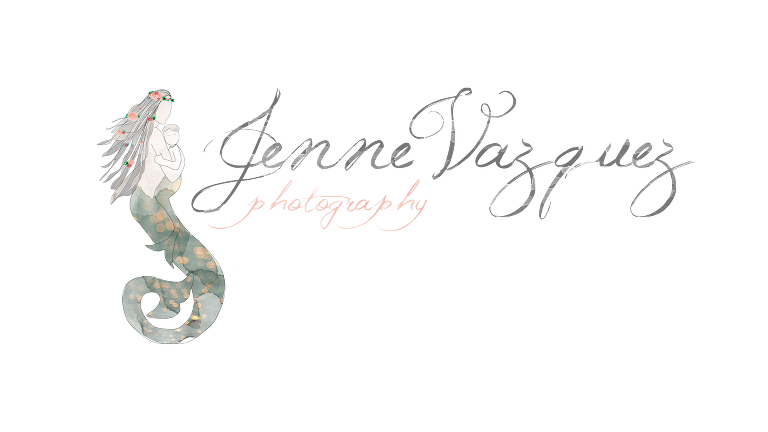 Jenne Vazquez is a lifestyle Filmmaker & Photographer specializing in storytelling portrait photography and video for small businesses, weddings and families. Originally from Orange County, CA, currently based in Coastal North Carolina and servicing immediate and surrounding areas of Onslow County & Pender County including Top Sail Island, Hamsptead, Wilmington, Jacksonville. Jenne loves traveling to nearby Raleigh NC, Washington DC, and as far as Chicago IL, Florida and Los Angeles, CA back home to southern Califronia where she grew up. She’s happy to come across the country to help your business build a stronger brand with a brand campaign promo video or tell your unique love story! Please follow our GOOGLE+ and ‘like’ our FACEBOOK page to keep up with our recent adventures! You are amazing Jenneffer Vazquez! I am so glad you were able to come do my promo video and I can’t wait to work with you in the future on more projects and I NEED a family video portrait too!